*I want to preface this post by making this statement. This is my space. I appreciate and welcome mature, honest feedback and conversation. I will not tolerate rudeness or name calling or profanity in my space. That is all. I have wanted to say something for a while but I have kept my mouth shut for a long time about it. I usually keep my politics to myself and to people I’m close with. Today I can’t keep myself from saying this. I am SICK of the state of politics in this country. I do not agree with the decisions our president is making and I think our country is only going to be harmed by them. Above and beyond the decisions, I am sick of the lies. During campaigns we heard about how amazing the insurance for all would be. Now we have a website that we can’t use, people losing their insurance that were told would be able to keep their policies, and my family is no closer to insurance than we were before. People are told their insurance will be more expensive than ever and that they have to have coverage they will never use. Lies. We also heard about troops coming home, getting out of countries we should have never been in, and yet yesterday the news came out that troops may remain in Afghanistan for another 10+ years. Lies on top of lies. I want to hear from politicians that don’t want a career but want to see real change. I want to see people who care about the working poor that are trying to get by and not worried about securing yet another term. I am sick of the lies we are being fed and sick of the politics in this country. It’s shameful. When it comes to blogging sometimes it’s hard to decide what to share and what not to, what topics to discuss and which ones should be shied away from. Thus far on this blog I have kept my political views and opinions to myself. I have very strong opinions but was raised to know that the discussion of politics can be polarizing and I have no desire to offend in this space. Also, in the world of blogging it’s very easy to attract trolls and people who love nothing more than to disagree for the sake of disagreeing. While I know and respect that others do not see things the way I do, many people don’t have that same respect and things can quickly spiral into simple rudeness. That’s not something I really envision for this space. All that being said, this is my space, my small piece of the Internet that I would like to be an honest place for me. To not share how I feel about something like politics and some of the things going on in the world today feels dishonest and unauthentic to who I am. So, I haven’t made the decision 100% but I’m considering sharing my views and reactions to the world around me more. Decisions, decisions. We have a few traditions in our house and one of them has to do with holidays/decorations. We don’t decorate for a season or holiday until the last one was over. Christmas decorations have been in stores for WEEKS and I’m not even considering decorating yet. We usually try to put up our Christmas tree and get all the decorations out the weekend after Thanksgiving. By then the kids are losing it with excitement and I’m ready to spread Christmas cheer. Our cable was out following the storms we had Sunday so we put in a movie. 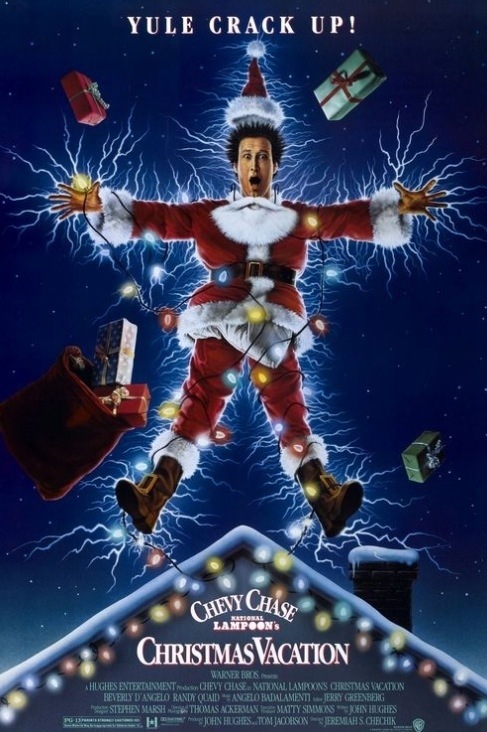 National Lampoon’s Christmas Vacation seemed like a logical choice and, quite frankly, we tend to watch that movie all year round. Today at work while I had a quiet moment to think I suddenly realized I had a Christmas song in my head. Then it dawned on me that the music in the office had changed to Christmas music. Everyone seemed to be surprised it happened so early but I’m still relatively new there so it didn’t phase me. 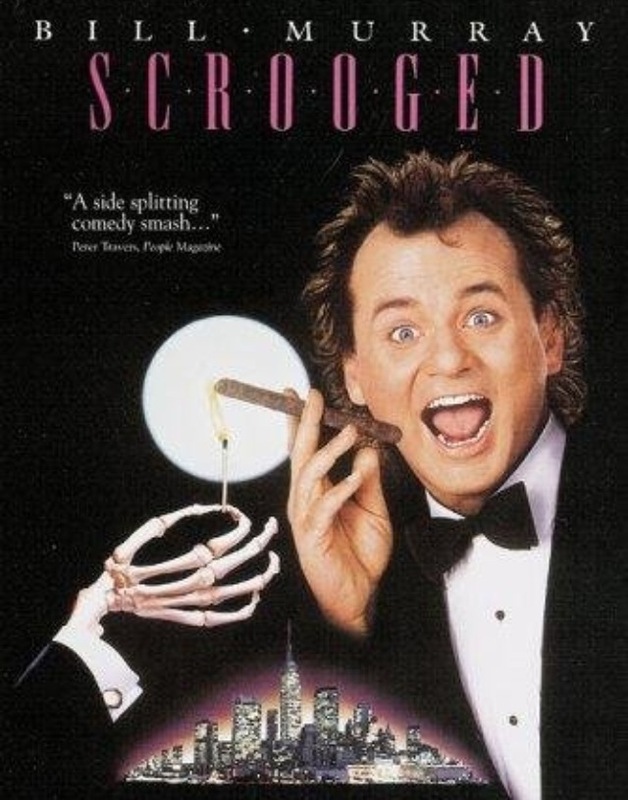 Tonight, on the other hand, when it came time to cuddle up and pick out a movie, I thought Scrooged would be perfect. I may avoid the Christmas creep when it comes to decorations but apparently I have no problem with Christmas movies. Go figure. 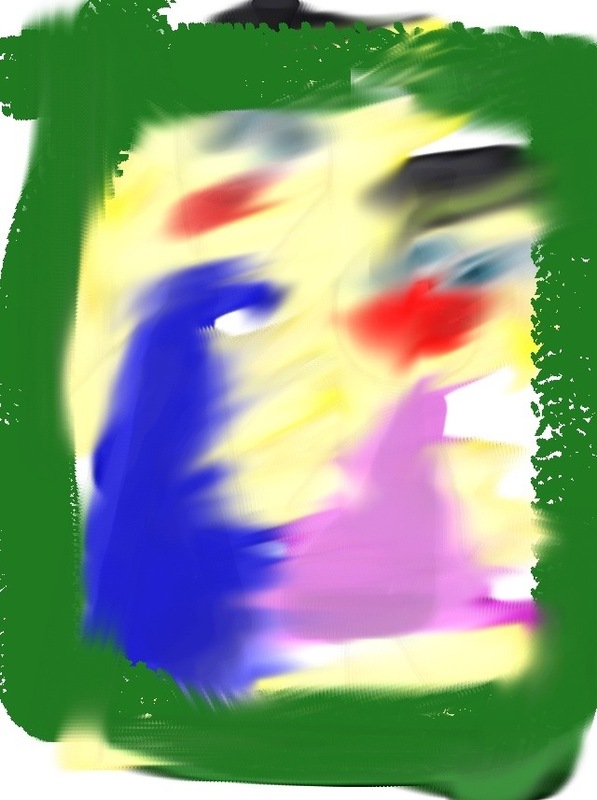 Livi created this masterpiece on my phone. It’s either amazing or creepy. I’m not sure I’ve decided which yet. Today we had very severe weather pass through our town including tornado warnings. There were neighboring towns and neighboring states that were affected so much more than we were. I’m thankful that while I was at work my family was safe at home. I’m thankful that our patients were safe in our building. I’m thankful for the first responders out there helping those in need today. I’m curled up with a blanket and feeling very lucky to be watching National Lampoon’s Christmas Vacation. Yep, lucky indeed. I missed a day!! Ugh, I tried really hard but missed posting yesterday. Oh well, maybe I’ll get in two posts today to make up for it. This week I’ve seen how simple acts can feel very big. The loss of my friend on Sunday hit hard. It was so sudden and so senseless, it was hard to wrap my mind around. The outpouring of love and seeing the amount of people her life touched was amazing. The physician I have worked part-time for over the last year had just met Tammy but he knew she was important to myself and another co-worker and he sent flowers. He had barely met her but such a small gesture meant so much. On a bigger scale there was a story out of San Francisco yesterday about a little boy who has fought leukemia. The Make A Wish Foundation worked with this boy and his family to make his wish come true – to be Batman for a day. He was dubbed Batboy and people from all over the city came together to give that little boy his dream. Not because people knew him but because they cared. Yes, this is just a line from a movie but it is true. It isn’t the big things we try to make happen but it’s in the little, everyday things we do that can touch someone else’s life so greatly. Keep doing the little things, they mean so much. Friday afternoon I had the honor of catching up with a sweet friend that I hadn’t seen in quite a while. I am planning to leave my part-time job that I held for the last year because of my current position as an RN. This sweet friend was going to take over my medical billing position so we met Friday evening to start training. Of course the start of training included hugging as we met, catching up, and her wanting to see current pics of the kids. I asked about her husband and she asked about my brother. When we parted ways she gave me a hug, we said how good it was to see each other, and we made plans to meet for more training on Tuesday evening. This morning I received a call telling me that my friend was killed yesterday in a motorcycle accident. I was shocked and sad and walked around in a daze this morning. This afternoon I found out that the accident was caused by a drunk driver who crossed the center line at 3:00 p.m. on Sunday afternoon. And I became angry. My generous, kind-hearted, easy to laugh friend was taken from this life because someone had too much to drink and decided to get behind the wheel. It’s not right. It’s not fair. It hurts. 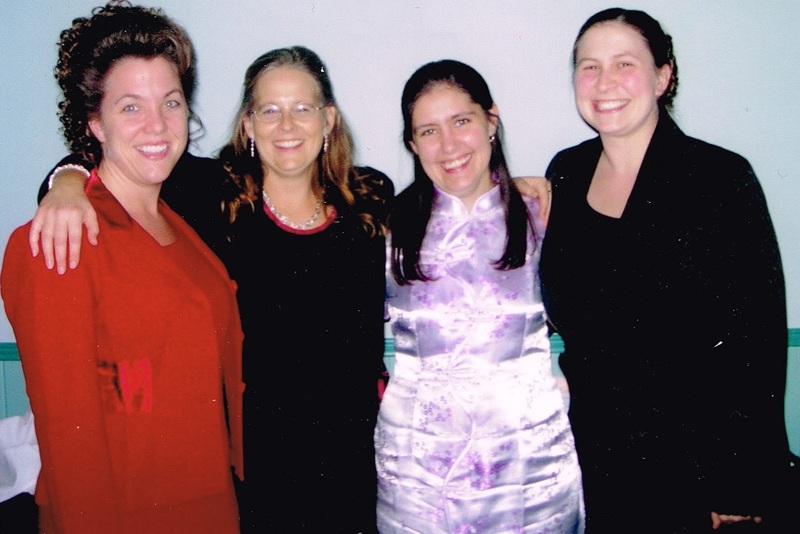 My friend, Tammy Hale, touched so very many lives. I’m thankful that I got to know her and I will forever have my memories of singing along to The Backstreet Boys in the tiny closet we called an office and laughing while doing it. Tam, you will be missed.